The Fourth of July is upon us – the time of year when we all have time away from work, the weather is warm, grills come out and picnics are held as we wait for the big fireworks display. While shopping for the celebration, I have been noticing the abundance of great holiday displays and packaging popping up in stores that are capitalizing on the occasion to either garner attention or announce new products. 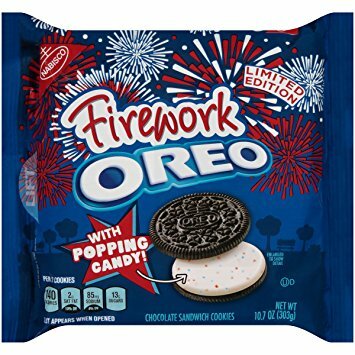 I was definitely caught up by Oreo’s new festive, July Fourth-themed cookies packaging. Oreo has elevated its iconic sandwich cookie from a snack leader position by regularly and opportunely introducing innovative new flavor combinations and well-crafted packaging graphics to market its products. While retaining its strong brand identity, using the existing package structure, and by adding simple bold seasonal cues of exploding fireworks, the brand has introduced its limited edition “Firework” cookie. At first, I thought that perhaps this was limited to a holiday graphic design change-up, but after looking more carefully I noticed the boldly announced “With Popping Candy!” The mere thought of trying one of these “popping” cookies demanded I throw a package in the cart to feature at this year’s party. As we all know, the retail environment is already at capacity with sensory overload. Generally speaking, adding more packaging is probably not the best idea – but that doesn’t mean that disrupting the status quo isn’t beneficial. Introducing holiday or seasonal packaging provides a legitimate reason to break up the visual monotony of overcrowded shelves. What makes the Oreo package effective is its ability to present a somewhat busy graphic design without ending up being seen as more visual clutter. The July Fourth theme taps into consumer emotions contributing to the feel good effect of celebrating – whether they are brand loyal or a new customer – while encouraging them to indulge in personal preference – in other words, something they can easily connect with, is affordable and convenient, and in the spirit of the holiday, just plain old fun. To me, this package is a great example of what makes holiday or seasonal packaging effective. With a visual design that is grounded in an incredibly strong brand identity, augmented with a simple, holiday-focused theme that is highly recognizable, they also offer a unique change-up in flavor that echoes the bursting effect of fireworks. You can’t miss that this package has something new. Yet in spite of an active visual design, anything extraneous has been eliminated, creating a super impactful shelf presence. The design is full of communication with the central Oreo logo linking brand loyalists directly back to the quality promise Nabisco delivers across its product line. Fun, festive, and exciting – everything the holiday and the product provide – and the very thing holiday or seasonal packaging should deliver. 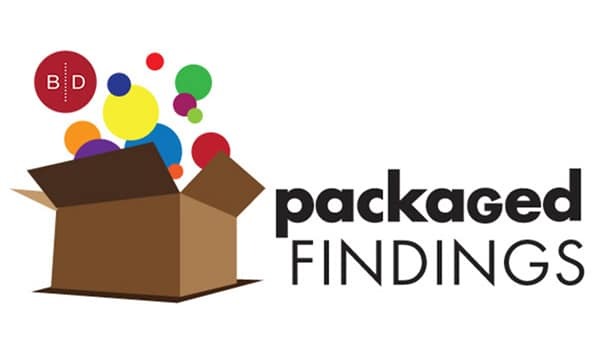 If you are thinking of exploring holiday or seasonal packaging that delivers shelf impact and helps consumers engage with your brand, contact us at 920-725-4848 or info@brand-directions.com. Throughout our 60 plus years in supporting customers with consumer brands large and small, we apply our experience and expertise to the entire process to create efficient and effective solutions.